Twitter's UK arm has responded to recent concerns over abuse on the social network, pledging to do more to combat the spates of unpleasant and threatening behaviour from so-called internet 'trolls'. In a post on its UK blog, the company said it had listened to recent feedback and has updated its rules to clarify what constitutes unacceptable behaviour and the consequences of flouting the rules. The post from Del Harvey, Twitter's senior director or trust and safety, and Tony Wang's UK General Manager expressed the company's desire to ensure Twitter is a safer place for users. "We have updated the Twitter Rules to clarify that we do not tolerate abusive behaviour," the post read. "We want people to feel safe on Twitter, and we want the Twitter Rules to send a clear message to anyone who thought that such behaviour was, or could ever be, acceptable." 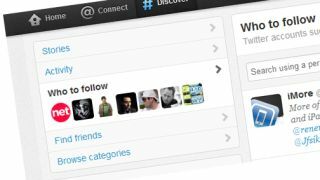 The company also pledged to make the in-tweet report button, currently available in the company's iOS app, available across more platforms, starting with iOS and then the browser-based site. "Rather than going to our Help Centre to file an abuse report, users can report abusive behaviour directly from a Tweet. Starting next month, this button will also be available in our Android app and on Twitter.com," the post continued. "We are committed to making Twitter a safe place for our users. We are adding additional staff to the teams that handle abuse reports and are exploring new ways of using technology to improve everyone's experience on Twitter. We're here, and we're listening to you." Twitter is one of the few web companies seemingly intent on resisting requests for user information from governments, but apparently the powers that be just won't leave Twitter alone.